New York Painting Services supplies a huge variety of contracting services, catering to the commercial businesses and residential homes of New York and New Jersey. 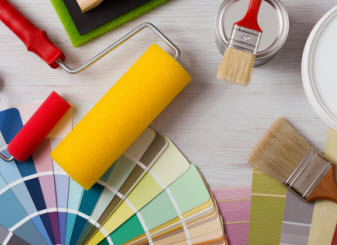 Being licensed and insured since 2004, we have built a positive reputation among our return clientele and look forward to adding more valued customers to the New York Painting Services family. Our attributes separate us from the rest, our high moral standards and work ethics, family friendly customer service, and superior execution on all services rendered on a consistent bases. 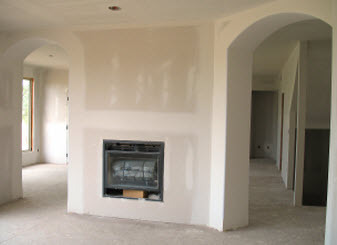 New York Painting Services professionals are experienced experts, highly trained to conduct the services we offer. With their skills and know how in combination with the use of state of the art equipment and top quality products offered only to licensed professionals we deliver premium results that will keep you coming to us with any project you have in mind. As you look around your New York and/or New Jersey home, you may find the kitchen really needs some work but with no budget to completely renovate it and start from scratch. With New York Painting Services, you can get the change you crave without completely gutting it. For example interior painting services, crown molding, cabinet refinishing, and so much more can get your kitchen looking completely different. Kitchen painting trends this year have broken away from the classic and traditional white shades. Bold colors are in style with dark blues, grays, reds, and oranges. Painting the colors on the wall with dark blue and accenting the cabinet with complimentary grays with orange or pink vibrant backdrops can really turn your boring kitchen into an impressive statement. Next to adding the bolder, darker colors, with bright accents, crown molding is the perfect accessory to create elegance to cupboards and ceilings. With the many variations in color choice and style, and schemes, the crown molding installed throughout the kitchen in your home by New York Painting Services professionals can be just what turns your kitchen from great to fabulous. The kitchen cabinets, drawers, and cupboards are not only practical for kitchens, but they are also the perfect accents. Stain finishes is a classic style that will never fade, with so many choices, from light to darks, the wooden cabinetry can really stand out. With a refinishing service from New York Painting Services the cupboards can be sanded and re-stained to amplify the wood look and accentuate the entire kitchen. Another option that is trending is to darken the cupboards with shades of gray or light shades of teal to compliment the freshly painted walls and crown molds in your residential home in New York and New Jersey. New York Painting Services extensive expertise can revitalize your New Jersey/New York residential kitchen in a number of ways. 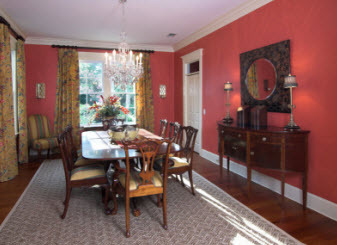 Whether your tastes are traditional and rustic, classic elegance, or bold modern trends, New York Painting Services will repaint the walls, refinish your cupboards, and add some crown molding so your kitchen can be have the design, beauty, and change you crave. After an in depth consultation and final execution, you will not recognize the old kitchen! Contact us for more info.